Unique, inspiring and above all, eye-catching, Sienna Bloom Ibiza is a jewellery collection created by Argentinean born, Ibiza-bred designer Daya Cabestany. Each piece is designed on the white isle, drawing inspiration from nature, spiritual symbolism and fashion trends alike, then heart and handmade in mainland Spain. 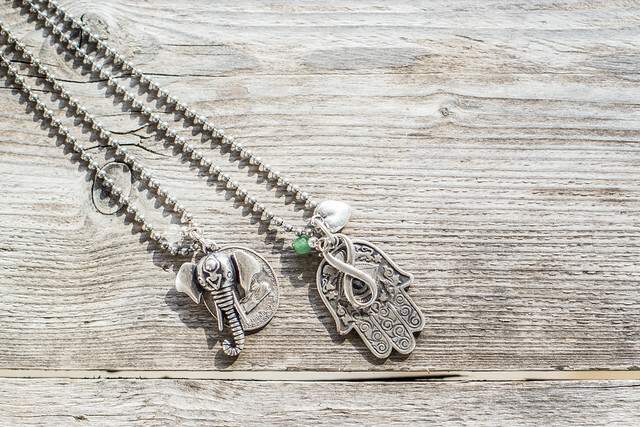 Amulets, Tibetan malas, crystals, traditional talismans and multi-cultural charms feature heavily within the Sienna Bloom Ibiza collection, a striking array of necklaces, bracelets and cuffs created with a silver-plated four metal alloy base that is 100 percent nickel free to avoid allergic reactions.